This is the last day of updates until Sep 3 as we are taking an extending Labour Day long weekend. Voila Hotel Rewards is the latest hotel reward program to offer a status match to elite members of other hotel programs. It seems to be much like Best Western's Status Match No Catch offer where all you have to do is send them proof of the elite status earned in a competitor’s reward program (either a screenshot, or a scan, of your current card) to support@vhr.com and they’ll reward you with corresponding status in VOILA. For complete details see here. This is the last update for this week as we are off tomorrow. Regular updates will return on Monday! Aeroplan will be giving away 1 ticket every 5 minutes in Toronto on September 4th to celebrate the launch of Distinction. So Rewards Canada readers in the TO area, try to make it down! We'd love to hear if you are planning on going down and if you do let is know if you are one of the winners! Feel free to do so by commenting below or even better tweeting us @RewardsCanada on Twitter! WHAT: Aeroplan is giving away a trip to some of the most exciting destinations worldwide, plus see your photo larger than life on one of the Dundas Square digital billboards. WHEN: Registration begins at 11:00 am on September 4, 2013. Trips (13 in total) will be given away every five minutes between 12:00 – 1:00 pm. Contest is open to Canadian residents over the age of majority. Each trip consists of roundtrip economy airfare to a selected destination + $1,000 spending money (approximate value $6,000/prize). WHERE: Dundas Square, 1 Dundas St. E, Toronto, Ontario. - 5,000 Bonus Priority Club Points plus complimentary breakfast at Hotel Indigo locations Worldwide. More... Until ? Is Air Canada Altitude descending? Recently, and rather unceremoniously, Air Canada (AC) announced a number or changes to miles accumulation and upgrade benefits at various tier levels in their fledgling Altitude program. Those changes were summarized in an email dated August 19th and more details could be found on the Air Canada Altitude website. Reading the email sounded like a doctor telling you a good news, bad news prognosis and starting with the good news without even asking. The good news, and it's been a long time coming, is the ability to earn status miles (Altitude Qualifying Miles if you will) for Tango fares that previously did not qualify for status miles. And now for the bad news, and there's lot of bad news, starting next year, upgrading will be a costly affair and upgrading companions will be more challenging (not that it started out easy). Unless you are Super Elite (Super Elite 100K to be precise) you will be required to pay an add-on, on top of surrendering those hard earned e-upgrade credits on AC long haul. Further bad news came in the body of reduced ability to upgrade those traveling with elite tier travelers. This will be most felt by Super Elite 100Ks with family who were looking to upgrade their loved ones on paid or award tickets to that far off vacation destination. It has only been a year that Super Elites have had the feature of upgrading on award tickets and next year it will be gone. "What's the big deal?" you say, "Many US carriers are already doing this!" True, but Air Canada has started out with add-on price points between $500 and $750 CAD well above where US competitors started. AC has chosen to price the add-ons competitively to the marketplace versus a more gradual approach or more discreet add-on levels by distance traveled. By taking such a sweeping approach to 25, 35, 50 and 75K level members one might predict that further changes to each sub-Super Elite level are coming. The trend for US carriers has been to widen the gulf between tiers so with so many tiers AC may rapidly follow suit and eliminate benefits for the "lower" tiers. With so much profit concentrated with 50, 75 and 100K members AC could, arguably, reduce benefits at the 25 and 35K level without much economic impact. At the 25 and 35K level members are clearly doing fewer long hauls so the knee-jerk compulsion to switch to United or other Star Alliance members makes only emotional sense as United would offer no greater benefit to a 25 or 35K member. At the 50, 75 and 100K level things are a bit more interesting as switching earning designation could yield improved benefits on, for example, United while retaining Star Alliance Gold status giving you access to elite check-in counters, no fee and prioritized baggage, domestic lounges and advance boarding. It will be interesting to see if defection becomes measurable and AC has to examine some of its recent changes to Altitude. At the end of the day these changes make a great deal of economic sense to Air Canada and devaluing 25 and 35K members may prove a winning bet. Let's see if the bet pays off for the 50, 75 and 100K members. Sol Zia, a loyalty consultant, has been an Air Canada Super Elite (100K) member since he first fast-tracked out of Elite in 2003. No news to bring you today but our tip of the day is if you are planning to rent a car in the near future always make sure you visit our Car Rentals Bonus Offer page first to see if you can earn more miles or points on that rental! As we mentioned on the FrequentFlyerBonuses.com Twitter feed yesterday you could expect PointsHound.com to launch a double miles/points campaign sometime today for all bookings made via their website until August 31. Well that promotion is now live so if you like to use PointsHound for some or all of your hotel bookings now is the time to do so! The promotion doesn't state when you have to complete the stay by so I asked PointsHound to let us know if there is such an end date. If you have not joined PointsHound yet you can earn a 250 mile bonus on your first booking made after signing up via our referral link. Just so you know, I will also earn a 250 miles bonus on that first booking of yours for referring you. I thank everyone in advance who joins via my referral link! In case you missed some of our 'late night' posts from last night: IHG has released their next systemwide promo called The Big Win and the other was news from Capital One that the Delta SkyMiles World MasterCard will now offer priority boarding on Delta and Delta Connection flights. In other Capital One news, you may have noticed a few months ago we removed the Capital One Aspire Cash World MasterCard from our Cash Back comparison chart and also pulled our post on Making the Most of Canada's best Cash Back credit cards. That is because we had received advance notice that Capital one was going to discontinue this card and we can sadly say that it is official now. Via Rail Preference has launched a reward ticket sale, see the bonus offers section below for details! Every month there is a new Le Club accorhotels Platinum status offer that good ol' John at LoyaltyLobby posts about and this latest one also gets his credit. The link is here and remember when you sign up for this offer you have to use an email address that is not being used for a current or past Le Club accorhotels account. Also once you sign up with this link do not call customer service and ask them to join any other account you may have with them as this will get your account closed. If you have points in another account use them up and then focus on your new Platinum account. 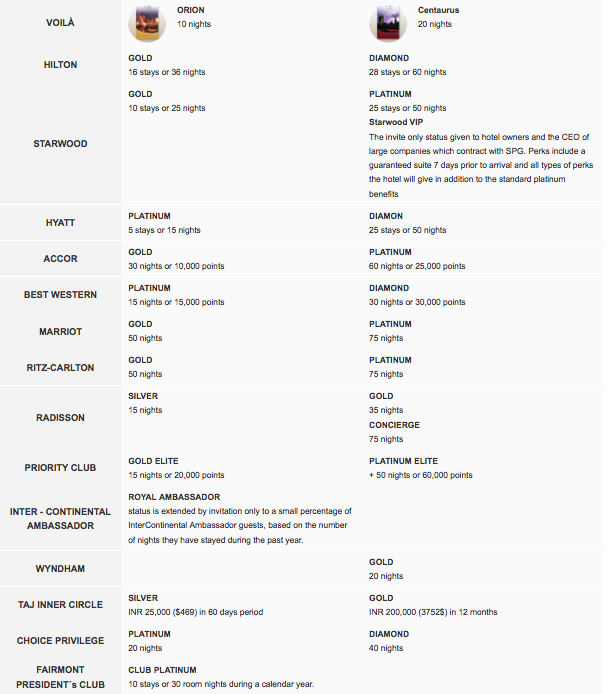 That Platinum status can also be used to get a status match with Best Western Rewards. "How would I register a stay I have already booked?" One of the best redemptions in the hotel loyalty program world is IHG's Priority Club PointBreaks and the latest set of offers are now out for stays until October 31st. Why are Priority Club Point Breaks such a great deal? Because they offer reward nights at participating IHG hotels Worldwide for only 5,000 Priority Club points. For those of you not to familiar with Priority Club, normal redemption rates for Priority Club reward nights run from as low as 10,000 points for some Holiday Inn and Holiday Inn Express locations to 50,000 points for ultra-luxurious InterContinental locations and even these locations can participate in Point Breaks. So as you can see you can receive a discount of 50 to 88% off the regular redemption rates. You may be thinking that the high end hotels won't participate but they do depending on the time of year! Please note that like most loyalty promotions these offers are capacity controlled so I advise to book sooner than later to ensure you get the Point Breaks rate. Like we mentioned last week, a lot of credit cards will be adding new features or changing with the end of summer. First we had the news from the BMO World Elite last week and now we are pleased to bring you this news. As of tomorrow (August 26th) all current and future Capital One® Delta SkyMiles® World MasterCard® customers will benefit from Priority Boarding on all Delta and Delta Connection flights. Priority boarding (or Zone 1 boarding) means cardholders and their travel companions may avoid the long general boarding queue, and boarding earlier means a good chance there will be overhead room for your carry-on baggage. This is great news for non-elite SkyMiles members who carry this card as many of Delta's flights to Canada tend to be on smaller regional jets and not Delta's mainline jets. We all know that overhead bin space is at a premium on CRJ's and such so while it is not a huge game changing benefit as a whole in the Canadian credit card market it definitely will make this card more attractive to Delta flyers. My offers are pretty low as I hit only the 50,000 point mark whereas others are reporting offers that get them bonuses into the 70,000 point range. However this offer is easily achievable with as little as three stays with one of those stays being 2 nights long. I may just try for this offer even though most of my stays have been directed towards Starwood and Hyatt as of late since those 50,000 points would net me a stay at Category 9 hotel or even the possibility of 10 free nights using IHG's PointBreaks offer of reward nights for 5,000 points. What offer did you receive? Feel free to share it with the FFB readership below and let us know if you are going to try for some or all of your offer. Looks like the BMO World Elite changes we mentioned yesterday are being noticed! We received a few emails of people who are happy about the changes. I just wish BMO would have responded to our requests for upcoming changes to cards back in June as the card would have definitely ranked differently in the 'Travel Points Credit Card with annual fee" category for our 2013 Canada's Top Travel Rewards Credit Card. Chances are and I am saying this without looking at the full metrics of the change that the card would have ranked second or third. The main thing keeping this card back is the fact that you have to book with BMO Rewards, which means you have to have the points upfront, even if it isn't the full amount where the other cards at the top of the category allow you to book via any method and give you time after that booking to redeem your points which means you can earn more points to make that one travel charge cheaper or that you can redeem for something you may book while you are on vacation like a train ticket. So unless no other cards change (which isn't going to happen given that CIBC will have some new cards) you'll see the BMO World Elite move up in the 2014 rankings! And as we mentioned this is not the only card to see changes coming this September, another one of Canada's best Travel Rewards cards (we can't mention the name yet) will get even better as of September 3rd! Stay tuned. "The Taxes and other fees charged by Airmiles on Westjet flights greatly exceed those charged by Westjet for the same flight. This seems wrong. Will you please comment?" The reason why the taxes and fees charged by Air Miles on WestJet fights are higher than WestJet is due to two reasons. One is Air Miles charges a service fee for their bookings that fall into those fees but the primary reason is that you are paying a fuel surcharge with the Air Miles redemption. Many years ago both Air Canada and WestJet starting charging fuel surcharges on their flights and they showed up as a separate line item but this raised tons of complaints because the cost of a flight ended up being way higher than the advertised base fare. In response, Air Canada and WestJet did built those fuel surcharge into the base fare, so when you book the flight directly you don't see this. However WestJet breaks out the fuel surcharge when charging Air Miles for the ticket and Air Miles passes along that surcharge to person redeeming. So what in fact is happening is you are only redeeming Air Miles for the absolute base fare of flight and have to pay the same taxes and fees seen from WestJet but also the fuel surcharge which you don't see on their bookings. The same happens when you redeem Aeroplan miles for Air Canada flights or many of their partner flights. I hope this explains why there is the difference in taxes and fees for the exact same flight! Earn up to 50,000 Bonus Gold Passport Points for eligible stays at any participating Park Hyatt®, Andaz®, Grand Hyatt®, Hyatt®, Hyatt Regency®, Hyatt Place®, Hyatt House®, or Hyatt Residence Club™ hotel and resort worldwide, or any participating M life resort. Air Canada Altitude has been devalued again. See all the details in our post here. Also stay tuned for a post from an Air Canada Elite member to hear his thoughts on the changes. BMO is updating their World Elite MasterCard, find our more here. And not too many new bonus offers for Canadians (we had more on FFB but three are not available to us) including the Cathay Pacific flight offer mentioned earlier today and a pretty decent offer from Alaska Airlines if you fly them frequently via Seattle or Portland to cities like Los Angeles, Dallas and more. Also worth mentioning is the third bonus offer listed below for Etihad flights as I want to note that you don't have to be a big corporation to join BusinessConnect and take advantage of the bonus miles. You can even be a Sole Propietorship (or pretend to be one and use your SIN as your business number.... but you did not hear that here!) to join and then link your Etihad Guest account to your BusinessConnect account to make sure you can earn up to Triple Miles on Etihad flights in September. BMO World Elite MasterCard being enhanced as of September 1st! As I mentioned yesterday, watch for changes to come to a few Canadian credit card this September and here is the first of them that we are going to bring you. A pretty strong card in its own right that came 5th place in the "Travel Points Credit Card with annual fee" category in our 2013 Top Travel Rewards Credit Card rankings, the BMO World Elite MasterCard is getting a slight revamping as of September 1st. These aren't huge changes but the fact that they are all good is huge given the negative news from many programs over the past few months! The redemption rate moves to 2% from 1.9% while not huge it does make this card even better. This redemption rate is because of the card now offering 2 points per dollar instead of 1 and that the method of redemption of BMO Rewards Points is now less complex. Before the changes the card offered 1 point per dollar but that 1 point was worth 1.9% due to a somewhat complex redemption process. The new redemption process as mentioned will be 100 points = $1 (no more trying to calculate what your points are worth at that 1.9% rate) as 1 point will equal a 1% return and since the card will earn 2 points on all eligible spending you actual rate of return is 2%. The only possible negative aspect of this change is that the sign up bonus gets highly devalued if they don't increase it as of September 1st. The current sign up bonus is 15,000 points which is currently marketed as a $285 travel credit (using the 1.9% value) but because of the new redemption rate of 100 points = $1 that 15,000 points will only equal a $150 travel credit (or with this special link where you get 20,000 points or $200). I wouldn't be surprised if we see the sign up bonus move to 25,000 or 30,000 points as of September 1st to accommodate the new redemption rate but then again because of the new feature that supplementary cards are free the may not as the reduced value of the sign up bonus would compensate for that new benefit. On August 19th Air Canada's Elite program, Altitude, announced some changes to this already negatively modified program that are once again.... negative (well there is one slight positive). Earn 25% Altitude Qualifying Miles when you purchase a Tango fare for travel within Canada on flights operated by Air Canada and Air Canada Express. Tango fares for travel across all other markets will remain at 50% Altitude Qualifying Miles. Earn 125% Altitude Qualifying Miles when you purchase a Latitude or Premium Economy fare on all flights operated by Air Canada and Air Canada Express across our network. Earn 150% Altitude Qualifying Miles when you purchase an Executive First or Executive Class fare on all flights operated by Air Canada and Air Canada Express across our network. Earn Altitude Qualifying Miles when you purchase any fare – including Tango fares, which previously earned non-qualifying Aeroplan Miles – on flights operated by Air Canada rouge . Note that this change will apply to all reservations, regardless of booking date, for travel effective tomorrow. eUpgrade Add-ons will apply for Altitude Prestige 25K, Elite 35K, Elite 50K and Elite 75K members. Add-ons will also apply to the upgraded travel companions of members who hold one of those Altitude status levels. Add-ons will not apply for Super Elite 100K members or their companions. eUpgrade Add-ons will apply only for travel on longhaul, international flights. Specifically, add-ons are applicable for travel between Canada and Europe, the Middle East, Asia, Australia and South America. Add-ons will not apply for travel within North America, including Sun destinations. eUpgrade Add-ons will apply to upgrades from Flex fares. Add-ons will not apply to upgrades from Latitude or Premium Economy fares. eUpgrade Add-ons will not change how you request an upgrade. As today, you will continue to be able to request an upgrade at aircanada.com/upgrade, through Air Canada Reservations or with an agent at the airport. Where applicable, however, you will be required to provide a credit card in order to pay for the add-on. Note that the credit card will only be charged if your upgrade is successful, and all charges will be processed in Canadian Dollars (CAD). The eUpgrade Travel Companion benefit will be expanded, and will replace eUpgrade Nominees. On the day of departure, all Altitude members will now be able to upgrade one companion who is not travelling on the same reservation, as long as they are traveling on the same flight. This will give members more flexibility when upgrading companions who may not be traveling on the same reservation as them. Altitude Super Elite 100K members will retain 2 eUpgrade Nominees. This will be in addition to the new expanded travel companion benefit. eUpgrades with Aeroplan ClassicFlight Rewards will no longer be available. This benefit, currently exclusive to Super Elite 100K members, will be removed. We'll begin with the little bit of good news out of these changes. The ability to earn Altitude Qualifying Miles on more Air Canada fares and increased Altitude Qualifying Miles on Latitude, Premium Economy and Executive Class fares. These changes went into effect as of yesterday. What does this mean? Essentially it means you will now have to co-pay to be able to use your eUpgrade credits on Flex fares for International travel (Europe, the Middle East, Asia, Australia and South America). All Altitude Elite members except for Super Elite 100K will be affected by this change. That is good chunk of change to be able to use your eUpgrade credits if you are traveling on a Flex Fare which are already quite a bit more expensive than other fares. These upgrade rates are similar to the Last Minute Upgrade options that are sometimes offered during online check in or airport check in and of course with those you don't have to use your eUpgrade credits. Watch the LMU rates will be drastically increased in March so that Altitude members are forced to play the upgrade lotto with eUpgrade credits + co-pay rather than just hope for the best and only pay cash at check-in. eUpgrade eligibility and transferability Finally, the last change to the Altitude program is for eUpgrade eligibility and transferability. Gone will be the ability to 'share' eUpgrade credits with your nominees. Now you have to be on the same flight to be able to upgrade a traveling companion who does not have to be on the same reservation however. 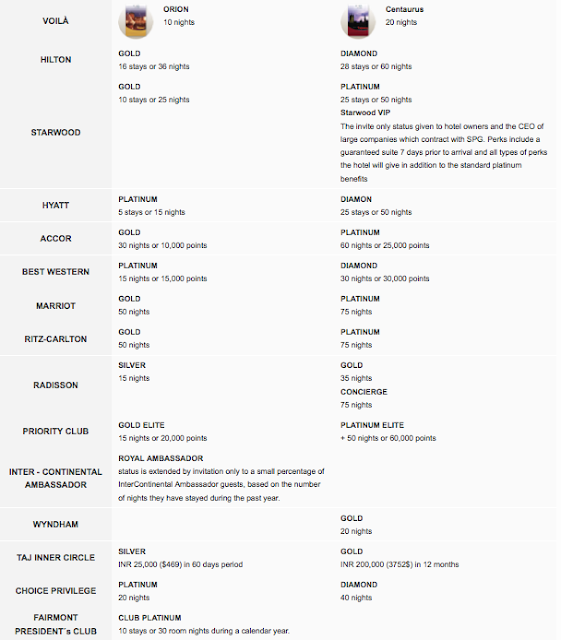 Also gone is the ability for Super Elites to use eUpgrade credits on ClassicFlight rewards however Super Elites do retain the nominee option but that has been dropped from 4 nominees to 2 because of the new 'travel companion' rule that all Altitude members get. Of course if you want to see all this on Air Canada's site you can do so here. In conclusion these changes are primarily negative unless you are a Super Elite 100K member or simply earn AQM's for other status benefits outside of the upgrade options. The biggest hit is to those who are Altitude Elite 75K, Elite 50K, Elite 35K and Prestige 25K because of the new co-pay requirement. Plus when you combine these Air Canada changes with the Aeroplan changes over the past few years (the increased mileage requirements for premium International travel) you can see why some mid-level Air Canada elite members are seriously considering a switch to other Star Alliance based programs. What are your thoughts on these changes? Comment below, we'd love to hear them and we're also sure many of readers would too!